European style and quality for the budget minded racer. 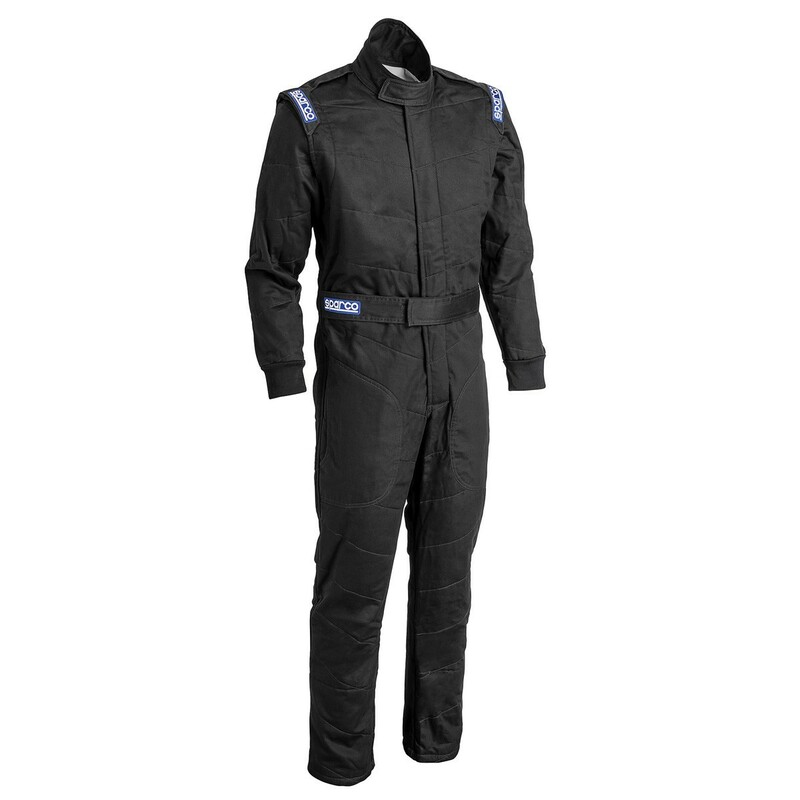 Introducing a fresh new look to the original budget priced racing suit, the 3-Layer Sparco Jade 3 Racing Suit continues to offer a traditional European design with tone on tone box stitching. Fresh, ergonomic quilting helps improve suit comfort and offers a stylized appearance. 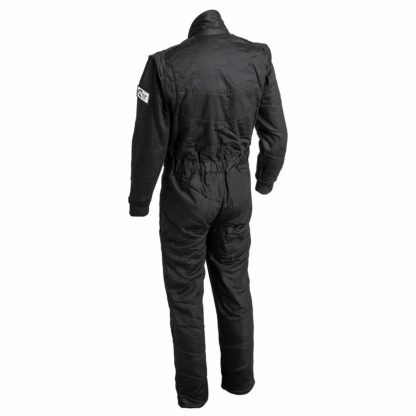 360-degree arm gussets further improve on the suit ergonomics and is a unique feature for budget priced suits. 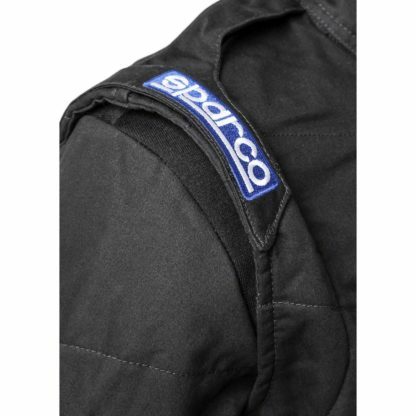 Ultimately designed with the budget minded racer in mind, the soft and durable FPF fabric surpasses the SFI 3.2A/5 standards. This attractive and affordable suit is rounded out with stylish boot-cut pant legs and tone-on-tone stitching. 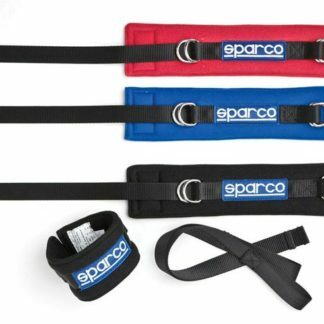 • Three-layer FPF fabric construction for greater durability and comfort. • Boot Cuff style pant legs. Note: All measurements are in inches. Your ideal size will be the smallest size that includes your largest measurement. Sizing Tips: A Driving Suit should have a loose, comfortable fit and allow for a full range of motion. Make sure the fit doesn’t change when sitting down! A suit that fits tightly may sacrifice the protective layer of air between the suit and your skin/underwear and can potentially decrease the level of protection provided by your suit. 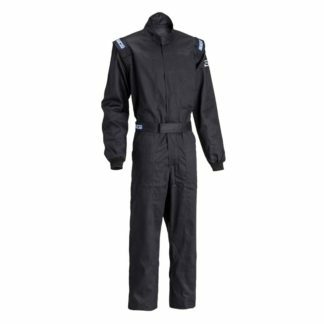 Driving suits do not “break-in” or stretch over time. A. Chest: Measure around the fullest part, under the armpits, keeping the tape horizontal. B. Waist: Measure around the natural waist line, inline with the navel. C. Hip: Measure around the fullest part of your hips, about 20cm below the waist line. D. Shoulders: Arms at your sides, run tape measure from bone to bone. E. Sleeve (Arm Length): Measure from shoulder to wrist. F. Inseam: Standing against a wall, measure from the crotch to the bottom of your leg. G. Back: Measure lowest vertebrae of the neck to the waist.